Anticipated Hindi film Begum Jaan which received good response for the trailer, itself got failed to impress audience as well as critics. Also due to much hyped Fast And Furious 8, Vidya Balan starrer got affected badly at Indian box office. While Punjabi movie Manje Bistre diverted much audience toward itself in Punjab and Delhi regions. 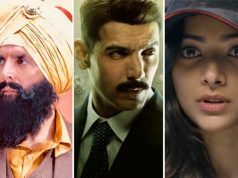 Critics liked the performances given by the entire cast but overall found it noisy and casually executed, because of which it remained flat over the weekend and did the business of 11.48 crores from 1100 screens across India, with 3.94 crores of Friday, 3.51 crores of Saturday and 4.03 crores of Sunday. Then in weekdays, it faced abrupt dip and reported an average performance. On Monday with 53% of drop than Friday, the film managed to collect 1.87 crore. With further decline, Srijit Mukherji’s directorial minted 1.59 crore on Tuesday, 1.49 crore on Wednesday and 1.40 crore on Thursday. With this, one week total collection of Begum Jaan has become 17.83 crores domestically. 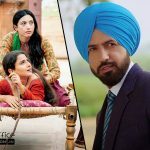 On the other hand, Gippy Grewal starrer Punjabi film Manje Bistre recorded amazing response of fans as well as audience and remained steady throughout it’s journey so far. 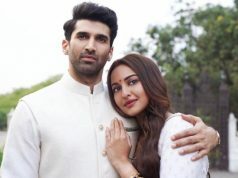 In the opening weekend, this romantic comedy added 7.02 crores including 2.25 crores of Friday, 2.18 crores of Saturday and 2.59 crores of Sunday. In weekdays, it witnessed considerable fall but managed to remain good. On Monday, Manje Bistre dropped by 44% than Friday and raked 1.27 crore. 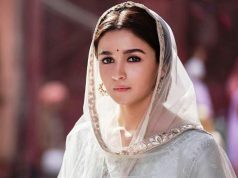 With slight further drop, it garnered 1.06 crore on Tuesday, 1.03 crore on Wednesday and 0.91 crore on Thursday. With this, one week total collection of the film has become 11.29 crores on domestic box office.